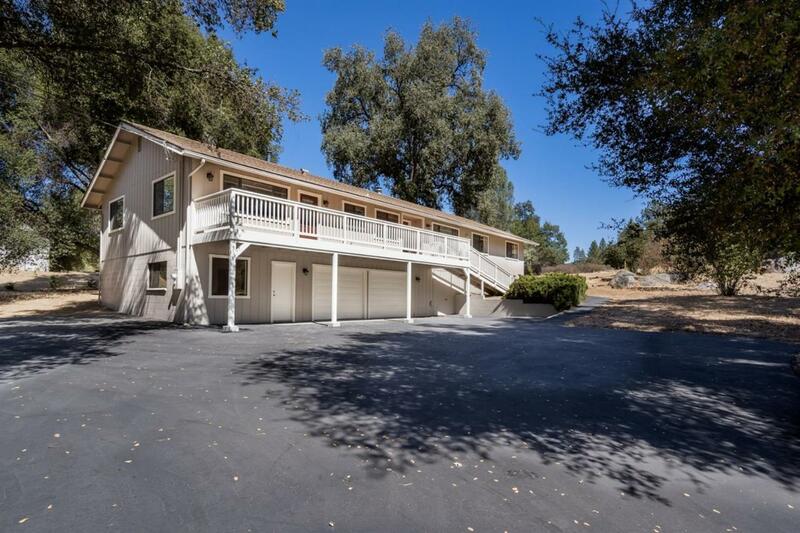 Beautiful two story home in a quiet neighborhood less than 10 minutes from Oakhurst. Large open floor plan with separate living and family rooms. 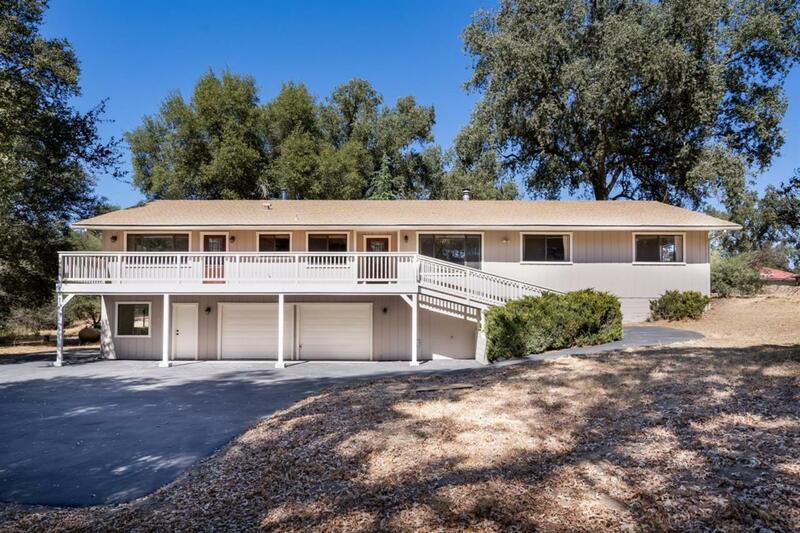 Spacious kitchen, large Laundry room, and a new deck that runs the length of the house. Owners have updated all the plumbing with Aquapex, freshly painted both interior/exterior, and installed all new carpet/vinyl flooring. On the ground level there is an over sized 2 car garage with two separate rooms that could be finished for living space or work shop. 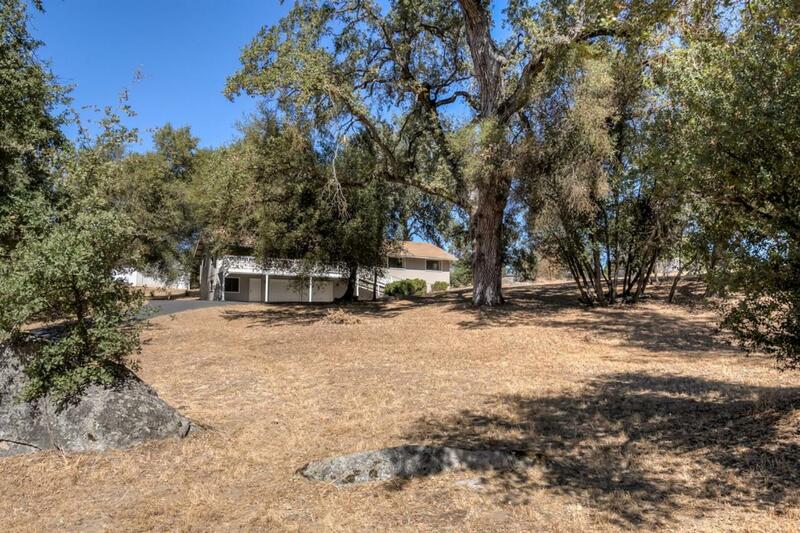 The 4 bed 3 bath house sits on 1 acre of land with beautiful mature oaks. There is a natural layout that presents the option for a mother in law suite on the west end of the home including a separate bedroom, bathroom,and living room.This house has been maintained with the upmost pride. Come see this home today. 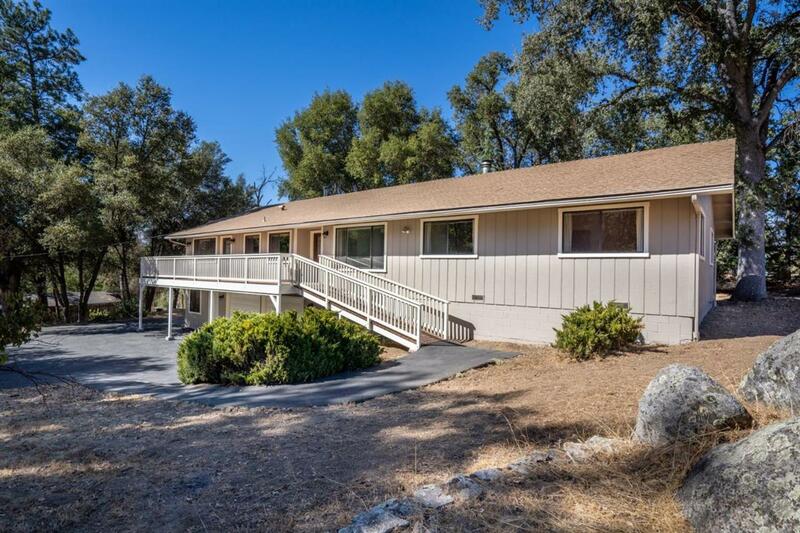 Listing provided courtesy of Travis Reden of Hidden Valley Real Estate Cent.